Most people know the handful of rules that govern using the London Underground – such as letting passengers off the train first and not prizing the doors open when the train is trying to set off. These orders are barked out by station staff through a loudspeaker system. Parisians also have rules for their underground system. 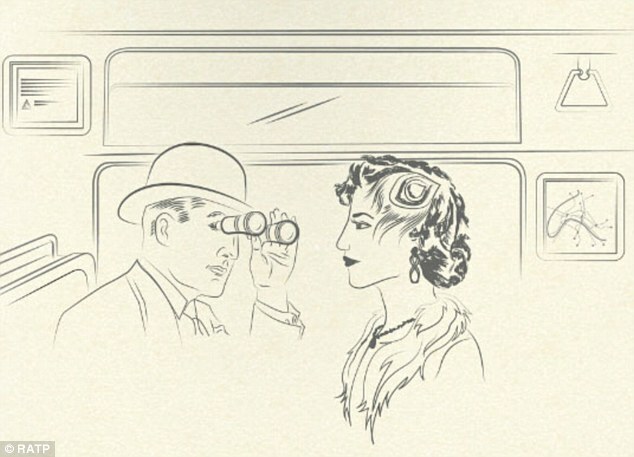 However, these have been distributed with a little more sophistication – via an online ‘politeness’ manual released by the Paris transport authority to ensure civility prevails at all times. 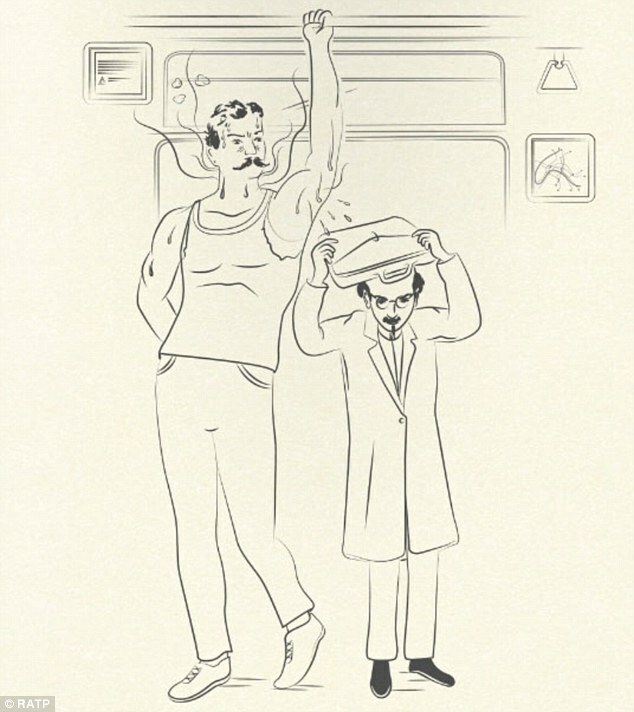 Called the ‘Manuel du savoir-vivre à l’usage du voyageur moderne’ – or ‘politeness manual for the modern traveller’ – it lists 12 ‘commandments’ for Parisians to abide by and comes complete with quaint sketches to illustrate the points. The online guide, which was drawn up using suggestions from the public, is split into four categories – ‘helpfulness’, ‘courtesy’, ‘manners’ and ‘politeness’. The rules insist that Parisians must offer help to tourists ‘in Bermuda shirts with a metro map in one hand and the other hand in their hair’, hold the door open for passengers behind them – and greet the driver. Travellers should also understand, the guide states, that ‘the huge crossed out cigarette on the platform is not a work of art but a ban on smoking’. The guide is also as mischievous as it is sarcastic. 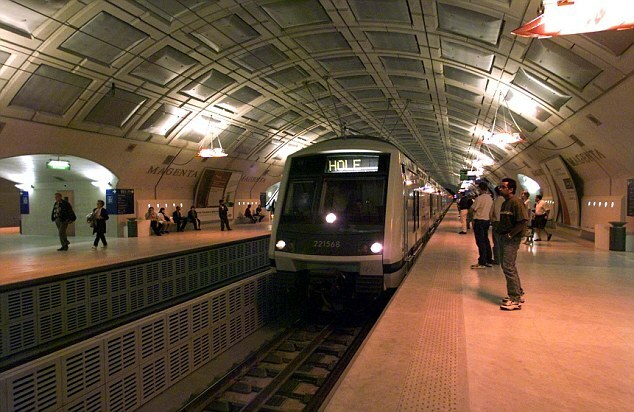 ‘It’s worth losing two minutes of your time for a good cause if only to hear the [foreign] passenger struggle to pronounce [the metro stops] ‘Trinité d’Estienne d’Orves’ or ‘La Motte Piquet-Grenelle’, it says. The key no-nos are not playing music too loudly through headphones, resisting the temptation to stare for a long time at beautiful women and holding back from starting a fight with someone who’s just stepped on your toes. 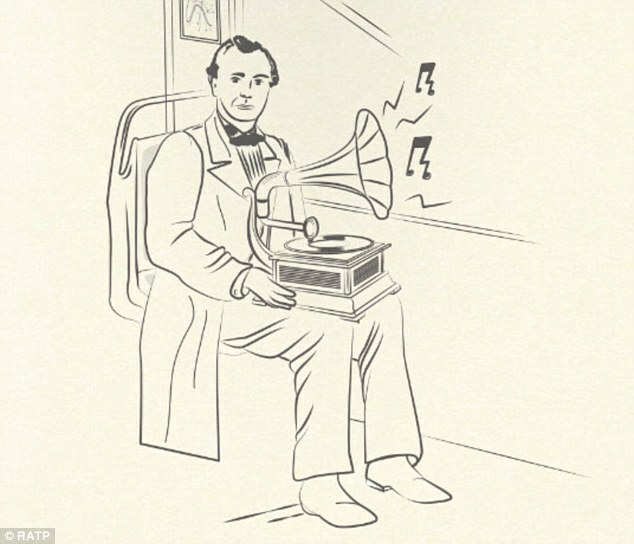 Loud phone conversations should also be avoided, old lady’s bags should be carried up stairs, armpits should be covered by arms and not exposed to the carriage – and handkerchiefs not just used to wave someone off with, but to sneeze into. Last but not least – the Metro is not to be mistaken for a lavatory.